Supreme Court on Tuesday acquitted cricketer-turned-politician Navjot Singh Sidhu from the charge of Culpable Homicide not amounting to murder (U/S304) in the 1998 road rage Case. But the Bench found him guilty for S.323 IPC (voluntarily causing hurt) and sentenced him with am fine of Rs. 1000 only. His co-accused Rupinder Singh Sandhu has been acquitted of all the charges. A bench of Justices J Chelameswar and Sanjay Kishan Kaul was pronouncing judgment on an appeal filed by Sidhu against a December 2006 Punjab and Haryana High Court verdict convicting and sentencing him to three years in jail in a road rage case. "The net result of all the above discussion is that the first accused cannot be held to be responsible for causing the death of Gurnam Singh. Therefore, the judgment under appeal is required to be set aside and is accordingly set aside. The material on record leads us to the only possible conclusion that we can reach that the first accused voluntarily caused hurt to Gurnam Singh punishable under Section 323 IPC", said Justice Chelameswar in the Judgment. "The next question is what would be the appropriate punishment for such an offence. Section 323 IPC stipulates a punishment of imprisonment of either description for a term which may extend to one year or with fine which may extend to Rs.1000/- or with both. In the circumstances of the case having regard to the facts that (i) the incident is 30 years old; (ii) there is no past enmity between the accused and the deceased; (iii) no weapon was used by the accused; and (iv) the background in which it happened, we are of the opinion, a punishment of imposition of fine of Rs.1000/- would meet the ends of justice in this case", said the Bench. Besides Sidhu, appeal was also filed by the present Punjab Tourism Minister,Rupinder Singh Sandhu, who was also given a three year jail term by the HC. Sidhu and Sandhu were initially tried for murder but the trial court in September 1999 acquitted the duo. As per prosecution chargesheet, Sidhu and Sandhu were in a Gypsy parked on the middle of a road near the Sheranwala Gate Crossing in Patiala on December 27, 1988, when the victim and two others were on their way to the bank to withdraw money. It was alleged that when they had reached the crossing, Gurnam Singh, driving a Maruti car, found the Gypsy in the middle of the road and asked the occupants, Sidhu and Sandhu, to remove it. This led to heated exchanges. The SC bench had on April 18 reserved its verdict after hearing marathon arguments from senior advocate RS Cheema on behalf of Sidhu, senior counsel R Basant for Sandhu and senior advocates Ranjit Kumar and Siddharth Luthra, who represented the complainant in the case and wanted an enhancement of the sentence. Senior advocate Cheema, appearing for Sidhu, argued that the evidence brought on record regarding the cause of death of the victim were "indefinite and contradictory and medical evidence vague". He insisted Gurnam died of cardiac arrest and not brain hemorrhage and the act attributed to Sidhu had nothing to do with the death. But on April 12, to Sidhu’s shock, the Amarinder Singh-led Congress government in which he is a minister had supported the high court's judgment convicting and awarding of the three-year jail term to Sidhu. Earlier, too the counsel for the state had told the apex court that the trial court verdict was rightly set aside by the High Court. “Accused A1 (Navjot Singh Sidhu) had given fist blow to deceased Gurnam Singh leading to his death through brain hemorrhage. The trial court was wrong in its finding that the man had died of cardiac arrest and not brain hemorrhage”, argued the state. 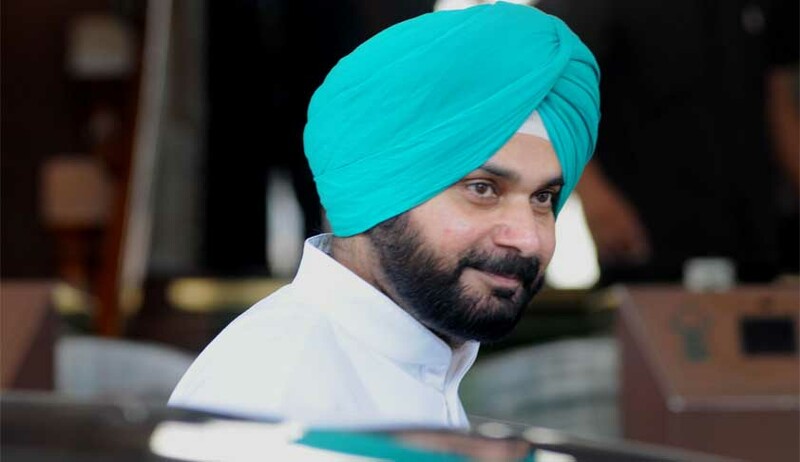 The counsel for the complainant had argued that Sidhu's sentence should be enhanced as it was a case of murder and the cricketer-turned-politician had deliberately removed the keys of deceased's car so that he did not get medical assistance. After admitting his appeal, the SC had in 2007 stayed conviction of Sidhu and Sandhu in the case, paving the way for him to contest the by-poll for Amritsar Lok Sabha seat.